I first met David Fienup when adding his Soundopolis sound fx libraries on my sister site, Sound Effects Search. I was intrigued by the balance of field recordings he had shared there: Foley, ice, weather, and more. I asked him if he would like to describe the gear he uses, and his thoughts behind it. Fienup kindly agreed. What emerged was a unique method of field recording. 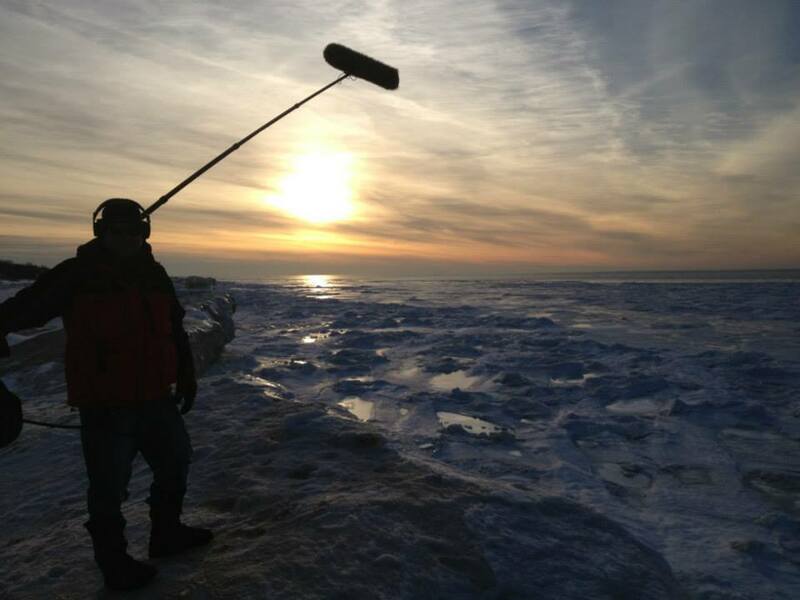 Fienup has experience capturing production sound as well as gathering sound effects. 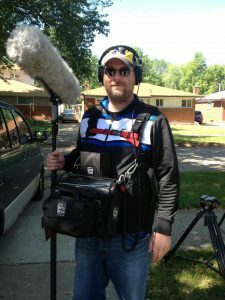 As a result, today’s post shares a novel approach to field recording: his thoughts about sound fx recording are informed by the challenge of capturing pristine dialogue on set, all cast within in the pursuit of finding the best value for the price. 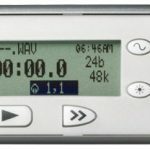 Creative Field Recording: What is your favourite field recording kit, and why is your preferred choice? Can you share some favourite clips captured on that gear? 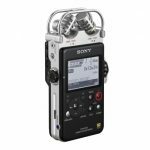 Sony PCM-D50/ PCM–100 I love having a portable, handheld, stereo recorder that can record 96k/24-bit (the D100 goes up to 192k!). I take it with me on my travels, along with a small, inexpensive camera tripod I bought at a drug store. I also acquired a Rycote suspension kit, which acts as a shock mount, and also includes a padded pistol grip. In combination, the Rycote kit allows you to hand-hold the device, while also keeping hand-shaking to a minimum (which naturally occurs when you’re out in the field for a long time). In addition to the ease of travel, I also use it as a second stereo pair in some of my sound effects recording for my libraries at Soundopolis.net (where applicable, of course). 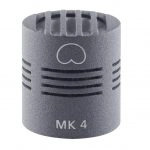 Its flexibility is great, considering that the microphones can easily be switched from an X/Y to an ORTF pattern. And a true ORTF at that. 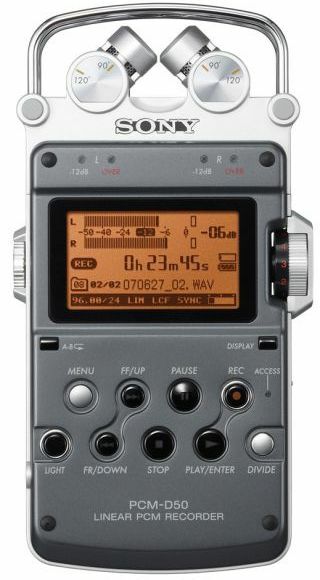 The Zoom recorders can be switched to an ORTF, but the capsules don’t get enough distance between them, in my opinion. This causes a noticeably smaller delay between an off-axis sound striking one capsule and then the other. Off-axis, in this instance, refers to the center of the stereo image, of course. I prefer a nice, wide ORTF for ambiences, and as an additional stereo pair for sound effects to give a more “distant” feel. Overall, the preamps are good, the limiter is decent, the high-pass filter is good, the ease of use is great, recording quality is good, and the convenience is superb! 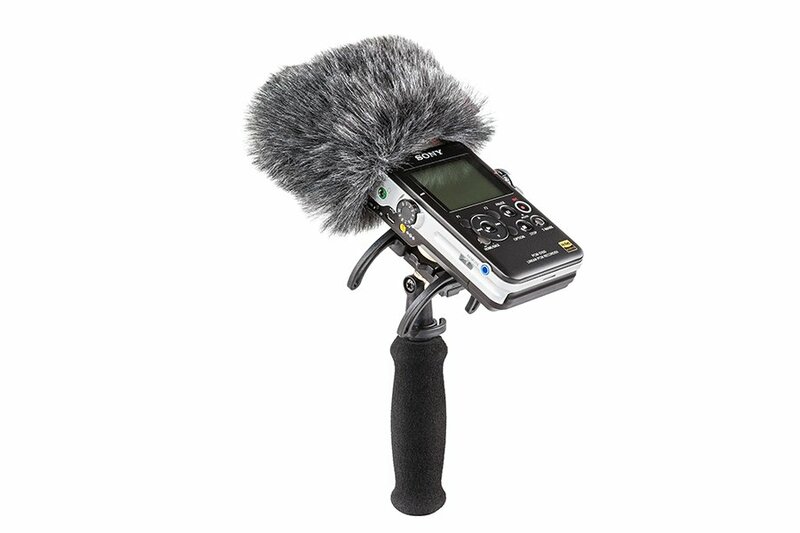 It’s a nice piece of gear to have for sound effects gathering in the field, and a nice addition to a production sound kit as a quick ambience-gathering device, especially for documentary applications. 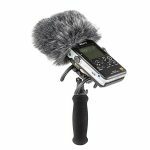 Sound Devices 702 + Røde NT4 or Schoeps CMC 6 U/MK 4Gs matched pair. We all know the quality of the Sound Devices 702. Great preamps, great limiters, great A/D converters, and great high-pass filters. It’s pretty compact and easy to carry, and offers two great channels of audio (if you use it properly). There are a number of good shoulder bags and harness systems for these devices. I have a Camrade bag and a Versa-flex harness if I need back support for a long day. 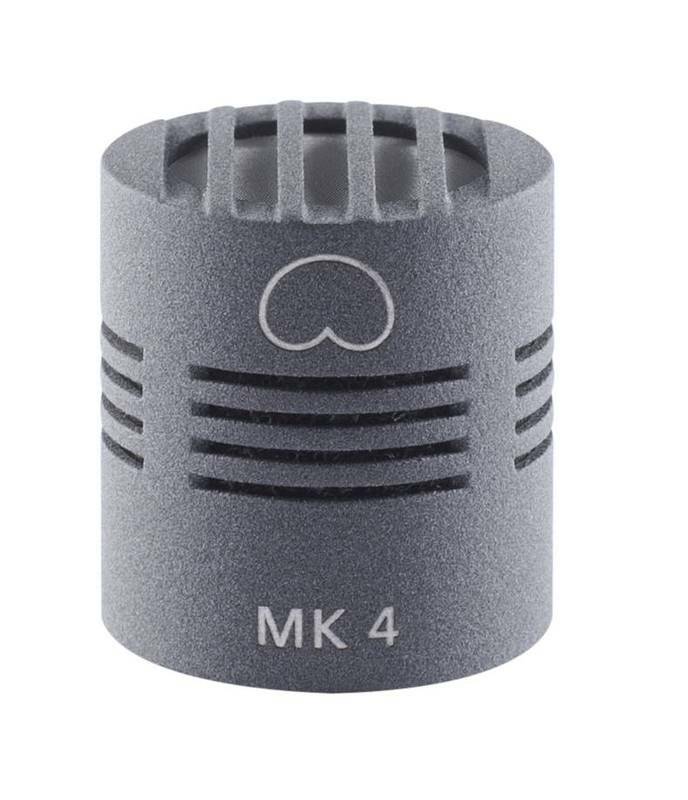 The easiest microphone to match with this, for me, is a Rode NT4, which is a single unit microphone with two capsules locked into a stereo X/Y pattern. The quality of the mic is pretty decent. It’s convenient because it fits neatly into a standard RODE Blimp for use in the field. Plus you don’t have to do any sort of M/S processing in post, as you do with an M/S microphone setup. Having a blimp hand-held in the field and just a little SD 702 in a shoulder-strap is very convenient, and high-quality. However, if I have time to set up microphone stands, such as in my “dirty Foley” studio in the basement (where there is no DAW), I like better microphones. I have a matched pair of Schoeps CMC 6 U bodies, with MK 4gs capsules. 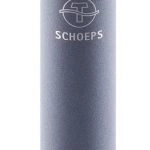 I also like the Schoeps because they are modular microphones. So, I can swap in an MK 41 capsule, and take the Schoeps microphone on set and record dialogue with it. Different tools for different applications. 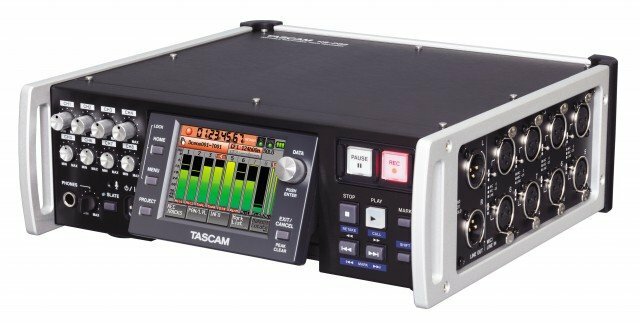 Tascam HS-P82 (8-track w/timecode). This device is pretty great – for the price. If you’re just starting out, and you need an 8-track for film applications, this is a fantastic buy. It’s much less expensive than the big-boys: Zaxcom and Sound Devices. You don’t get as many output options, or routing options, but it gets me through feature films, commercials, and documentary work. One downfall to note immediately, is that the timecode slips whenever the device is powered down and then powered back up again. So, jam timecode frequently, or get a wireless timecode device like a Lockit box to keep things updating frequently. If the device stays on the whole time, the timecode works just fine. On a film or commercial set I use Schoeps microphones. They’re pretty expensive, so you probably won’t want them right out of the gate. I use the CMC 6 U body with an MK 41 (supercardioid) capsule for capturing dialogue indoors, and occasionally outdoors if its not too noisy of an environment and I can get the mic pretty close to the subject. I also use a Schoeps CMIT 5 U shotgun microphone (the cool blue one). This is great for noisy environments, outdoors, and when you can’t get close to the subject because of the camera angle being wide (or any other number of reasons for having to be far away). Both of these Schoeps microphones are high-end industry standards. So, once you get to these microphones there is no need for improvement in most applications. Lately I’ve been using the HS-P82 for sound effects recording on a new library that is sounding great! 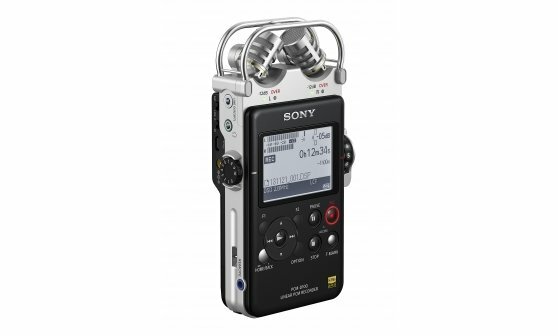 I’ve chosen the HS-P82 because I’m using 5 microphones and the Sony PCM-D100. I’m using the Schoeps MK 4Gs in X/Y, the Røde NT4, which is also X/Y, a contact microphone, and the D100 in ORTF. Sometime in the next year you’ll hear more about that setup once the recordings are done, and the files are all nicely edited and packaged in a new library at Soundopolis.net! Many thanks to David Fienup for describing his kit for us! Røde NT4 stereo X/Y condenser cardiod microphone. 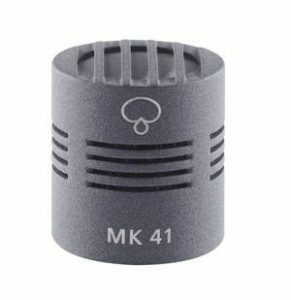 Schoeps MK 4G cardiod capsule. 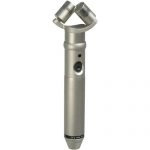 Schoeps CMIT 5 U supercardioid shotgun microphone. 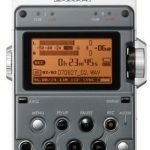 Tascam HS-P82 8-track timecode audio recorder. Download David’s libraries on his sound fx Web store.